‘Sarvam Thaala Mayam’ is an upcoming Tamil musical film in which music director GV Prakash Kumar is playing the lead role. Rajiv Menon is helming this project and the movie has been carrying a decent pre-release buzz. Aparna Balamurali is playing the female lead in this movie. Kollywood star hero Dhanush has unveiled the trailer of the film today. The trailer gives us a glimpse at the story. 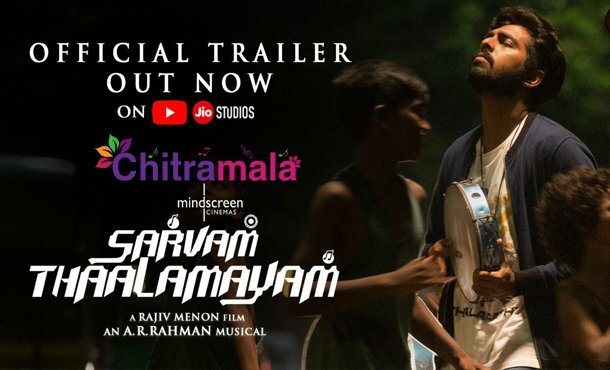 It seems like the plot of the film is about Peter (GV Prakash) who struggles to learn Mridangam as he comes from a discriminated caste but yet manages to become a star. Music by AR Rahman is undoubtedly going to be the highlight of the film. The trailer video has greatly impressed the audience and increased the expectations on the movie that is releasing on February 1st 2019. Nedumudi Venu, Aparna Balamurali, Vineeth, Kumaravel, Dhivyadarshini are playing vital roles in the movie. Mindscreen Film Institute is bankrolling this project.